The world of drag and genderfuck has long been a subculture of the LGBTQ+ community, beginning with pantomime dames in the 1800s and drag men in 1920s speakeasy bars. Traditionally, drag queens are men who dress up as exaggerated versions of women, but there are also drag kings, women who dress up as exaggerated versions of men. People of all gender identities and sexualities participate in the performance art. There are hyperqueens, women who dress up as caricatured women, and hyperkings, men who dress as exaggerated versions of men. Whatever goes, drag performers work on challenging our preconceived ideas of gender. Having faced discrimination from police during raids, drag performers along with trans folk were at the heart of protests like the Cooper Donuts Riot in Los Angeles in 1959, and the pivotal Stonewall riots ten years later in 1969. In the 1980s, drag became a mainstream cultural phenomenon, and drag performers started featuring in movies and on television. 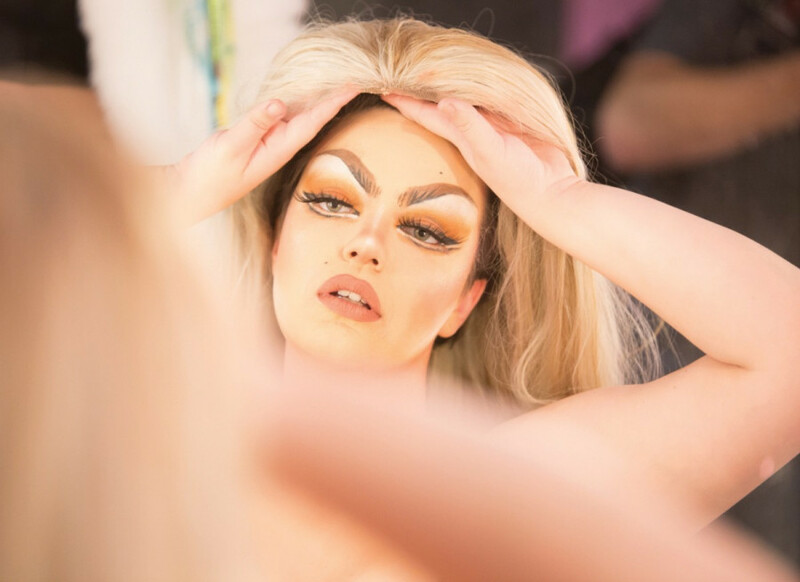 Today, Montreal’s drag scene is alive and thriving, with performers like Mado, Crystal Nebula, Lizzy Strange, and Will Charmer exploring their craft and changing the game. You may know Mado Lamotte as the most famous drag queen in Montreal and the owner of the only drag cabaret in the city, which is named after her. A Montreal icon, she even has a life-sized statue of herself at Montreal’s wax museum. However, Luc Provost never imagined that he would ever enter the world of drag. Provost started doing drag when he was exploring the gay nightlife scene in the ‘80s. Sometimes bars would have theme nights when they went out. The first time he ever put on a dress was for one of those nights. He reminisces about that night in July years ago. He and his best friend went out to a “business woman” themed night. His friend was dressed as the business woman and Provost as his secretary. After that, the owner of the bar had asked them if they wanted to do a show because he found them so funny and they accepted. That propelled Provost into the world of drag and so Mado Lamotte was born. Their drag was inspired by New York drag, and is more of a parody performance rather than a cabaret or fashion performance. In 2002, Cabaret Mado opened. There was an empty space in the Gay Village which was meant to be a drag cabaret. Mado was approached to own it and have it be named after her as she had become a drag icon in the city. “I don’t work to be the biggest name, but to be recognized is a good feeling after struggling all those years,” Mado said. The cabaret has been running for almost 16 years now and has even hosted RuPaul’s Drag Race star Courtney Act. However, with the rise of the show, selling tickets has become harder as people want to see drag acts for free. He admits that there are advantages to the show as people are understanding more and more that drag queens are performers. When people come to the shows, Provost knows that they’re in for a treat. He explained that drag is about performance and that it takes talent to be onstage. Despite the growing acceptance of drag performers, Provost says that the queens are still stigmatized.There are also a lot of people in the LGBTQ+ community who hate drag queens, he says. He wants people to realize that the Stonewall riots, started by drag queens and trans folk, are the main reason the gay movement is where it’s at right now. Student Christos Darlasis studies set and costume design at the National Theatre School of Canada, where he gets to design small plays and help designers. But in his spare time he’s Crystal Nebula. As an emerging drag queen, the highlight of his drag career so far has been opening for singer Allie X. Lots of drag shows have themes, and the queens have to morph themselves to their specific audience. For this show, Darlasis wanted to pay homage to his Greek heritage. So he dressed as an ancient Greek goddess. “I was thinking, ‘I’m just gonna go wild. I’m gonna rip off my dress and be in my underwear. I’m gonna feel like Lady Gaga.’ It was super cool,” he said. While he was growing up in Greece, seeing men dressed as women was taboo. When it was shown on television, his grandparents would change the channel or cover his eyes. When he came to Canada, he discovered his sexuality and started exploring the local scene. He also started watching RuPaul’s Drag Race. Darlasis said that his icons, idols, and the family that raised him were all women. He loves to showcase his love for women through drag, and says he never uses negative stereotypes that degrade women in his acts. Darlasis is happy drag is becoming more mainstream, because people are able to learn what drag really is. He wants people to realize that it’s not a joke, it’s not just a man in a dress making fun of a woman. It touches different facets. There’s art, comedy, fashion, and theatre. People do it for many reasons. Sometimes it’s not even for entertainment. It’s an artistic form of expression that plays with gender. Dressing up takes Darlasis a minimum of four hours. A painted woman is on stage. She’s in full drag; hip pads, wig and all. Alessia Cara’s “Starving” starts to play, and a pizza boy comes onstage to bring her what she’s ordered. As the song plays, she eats the whole pizza. Lizzy Strange definitely lives up to her name. She dresses like a pop-princess but her style is also very campy and audacious. She doesn’t take herself seriously, although at first glance you’d think she would. Her performances are rooted in theatre, and put a spin on pop that most won’t catch right away. Lizzy is a character portrayed by Lisa Morrison, a hyperqueen. Being a cis woman who does femme-presenting drag, Morrison says she had a hard time getting the people around her to take her art form seriously. Morrison feels that entering the world of drag has helped her accept her femininity. Morrison has always been in the world of theatre, dancing, and singing. So when she found drag, which combines all of these things together with queerness, it was a perfect fit. “It’s what I need to do and it’s helped me become more comfortable and grow as a performer, and as a person and gave me a lot of opportunities,” she said. Morrison hopes that the more she does this, the more people will begin to realize how ridiculous these experiences are. Morrison moved to Montreal from Halifax because of the city’s reputation as a hub for creative arts. The drag community here is very vibrant and accepting, she said. But even here, Morrison admits that the drag community faces a lot of stigma. Morrison has witnessed people trying to push her peer’s limits and boundaries, as they aren’t taken seriously. People tend to think that all drag queens are alcoholics and drug addicts, which is untrue, she said. Lots of people also have a hard time understanding the differences between drag and gender identity. 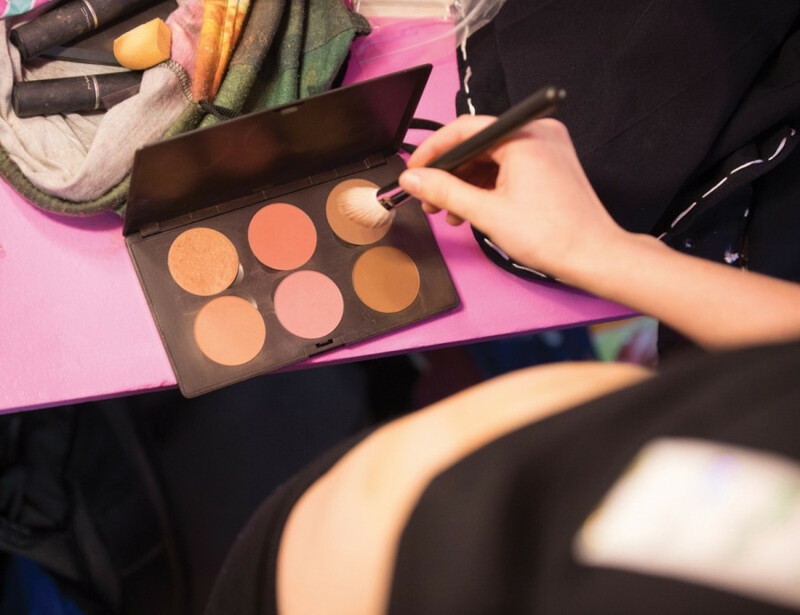 “Anyone can do drag no matter their gender identity, how they present, or what kind of drag performances they chose to do,” she said, adding that gender identity and performance aren’t always linked. Although Morrison’s career is only beginning to blossom, this queen has big plans. She hopes to someday start a theatre troupe composed solely of drag performers. “I don’t think it’s gonna happen for a few years but it’s something that’s always in the back of my mind,” she said. 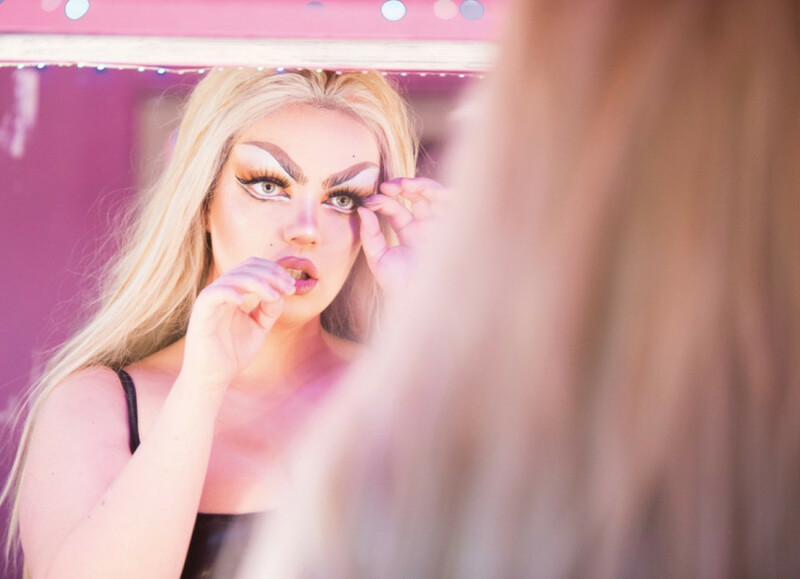 For now, she’s focusing on her smaller goals like participating in Mado’s Drag Moi event, a contest show where novice drag performers compete while learning the fundamentals of drag. Will Charmer is that guy that your parents love but your friends all know is a freak. He seems like a good boy. He charms all the teachers and everyone around him, but he’ll also throw the biggest party of the year and flirt with everyone. He is the best bad influence you’ll ever have. Offstage, Kelly Holzmuller is a lot more more shy and adorable. 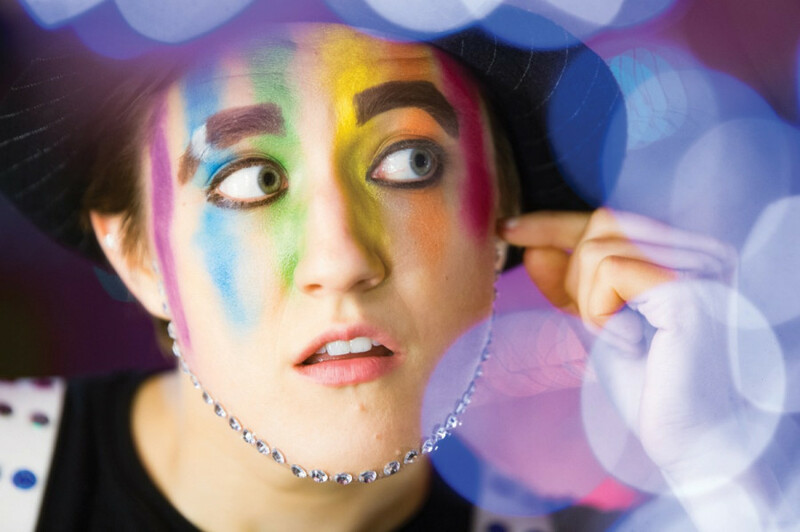 Holtzmuller is a drag king and currently a part of the Drag Moi competition. They discovered drag as a part of the exploration of their gender identity. After going through a bad breakup, they realized they had the chance to be who they wanted to be, but had no idea who that was yet. “[I had] a dysphoric sense of not being in my body,” said Holzmuller. They wanted to cut their hair and start wearing baggier clothes, and would even sometimes dream of the body they wanted, only to wake up and be startled by their appearance the next morning. Holzmuller started doing some research about being trans, transitioning, and how people came to realize their identities. When they started binding their chest, they learned about binding with duct tape, which is a method specific to drag kings. Being a theatre kid, they loved the idea of these performances. Holzmuller decided to explore that side of themselves through drag, and started to come to high-school dressed as a guy named Calvin. They came to realize that they didn’t want to transition but that they wanted to project as a more androgynous and masculine person. Drag helped them become comfortable with their identity as a gender-fluid person, and helped them accept their physical appearance as well. Holzmuller can sometimes be feminine and other times very masculine, constantly flowing between one and the other and never being in a set place. Will Charmer’s audition for Drag Moi was his first time leaving the house. It was the first time Holzmuller performed in drag in front of anyone. Actually getting into the competition was turning point for them. 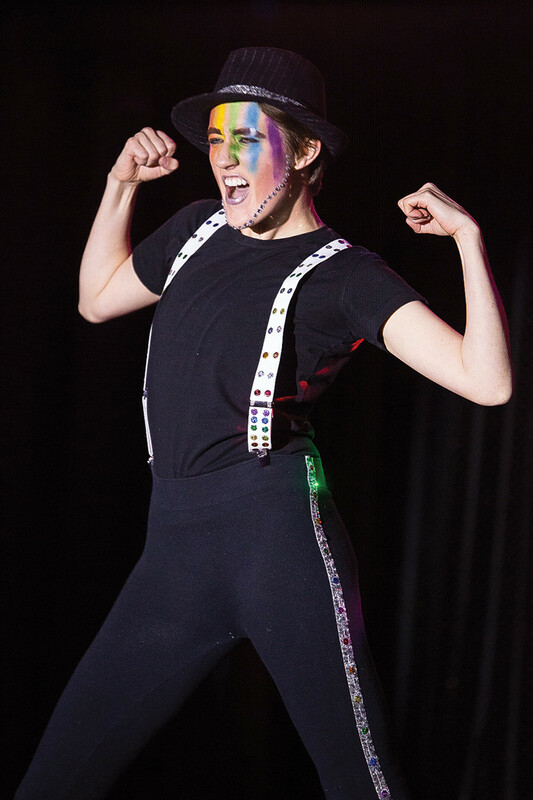 Drag Moi has different themes or challenges every week which pushes the performers’ creativity and resources. Holzmuller brings their theatre background into each performance, making Will a versatile character. For one performance, he dressed up as Quasimodo with a very big face and built himself a hump. For his audition, Will performed Link Larkin’s “Ladies’ Choice” from Hairspray, and ran from one side of the stage to the other, ripped his shirt open, and did a typical drag show. Will doesn’t have a trademark style, so he gets to play around a lot more. Holzmuller’s favourite performance was dancing dressed as a bellboy with a dress propped onto a suitcase. They like to push boundaries and think outside the box. “Sometimes going way out of your comfort zone is the best,” said Holzmuller. To Holzmuller, drag is more of an artform. Drag plays up the extremities of gender. Holzmuller’s mentality is that if they’re going to be a guy, they want to be the most flirtatious, most sexual-energy-driven guy as they can be. It’s a caricature. In a caricature, everything is disproportionate, as if Tim Burton got ahold of your face. They take everything that is truly you and exaggerate it tenfold. Drag does the same.